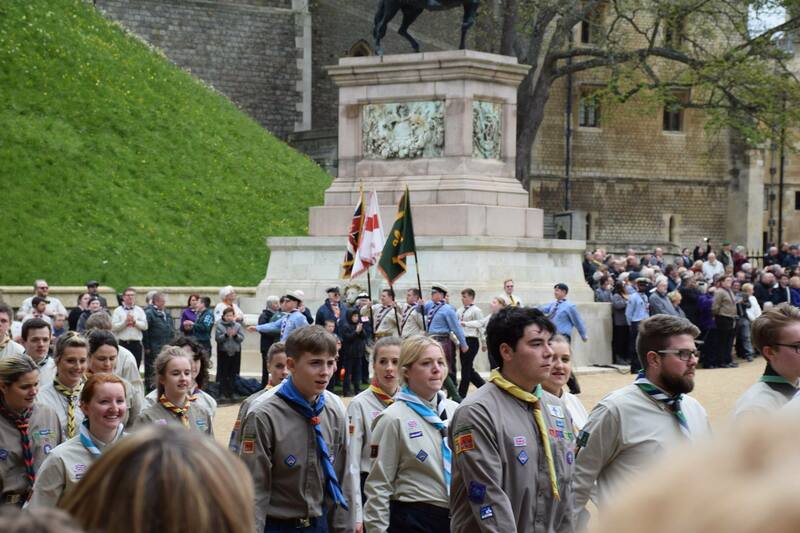 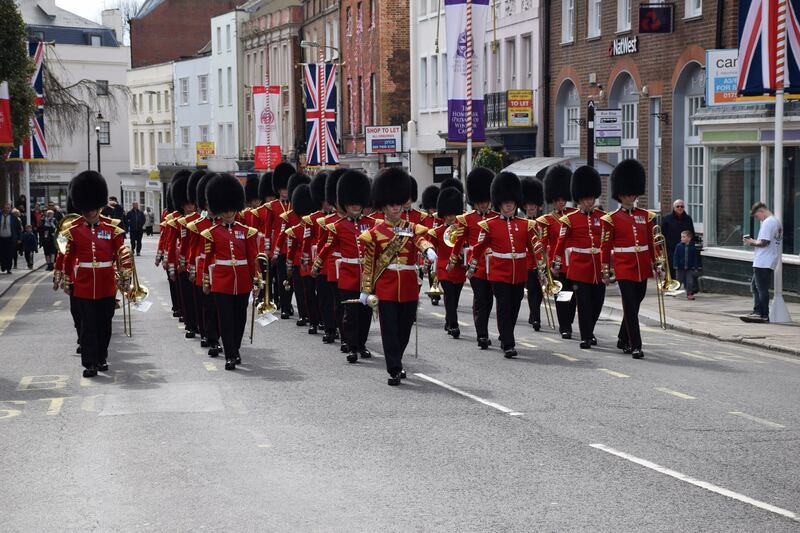 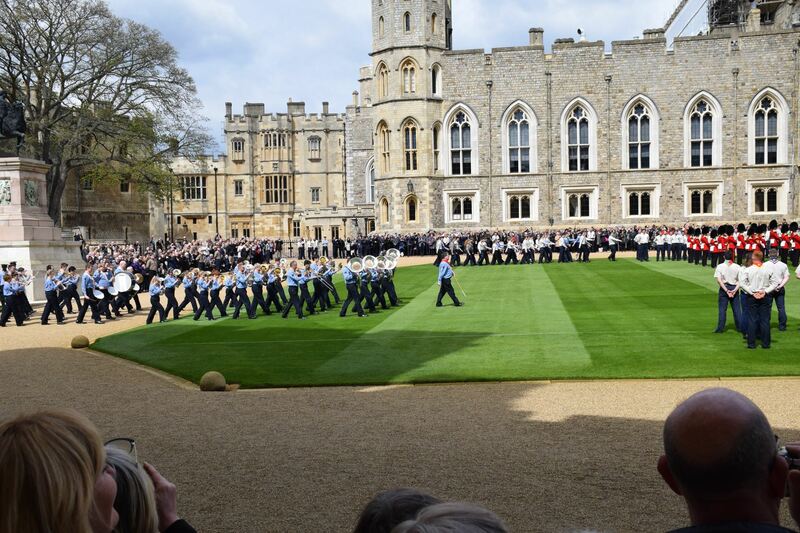 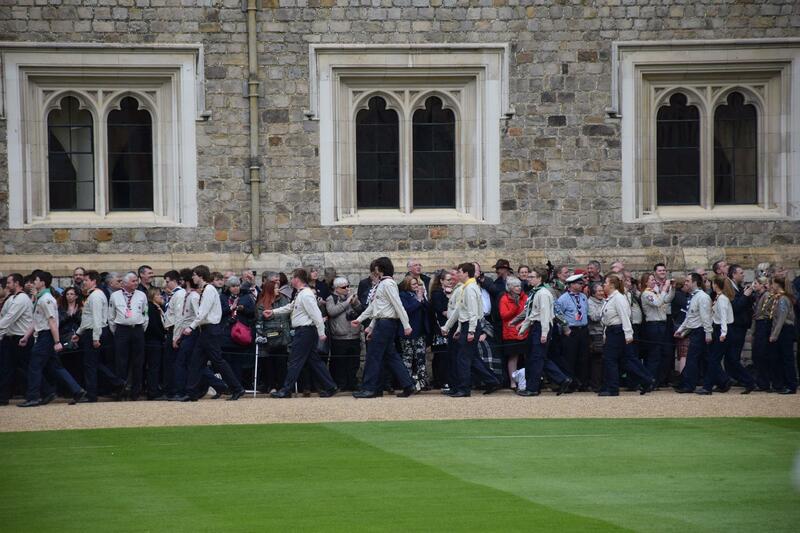 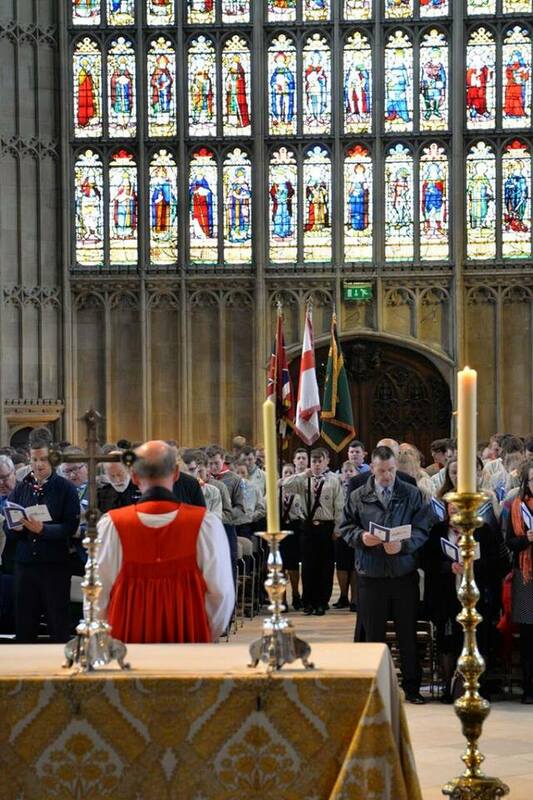 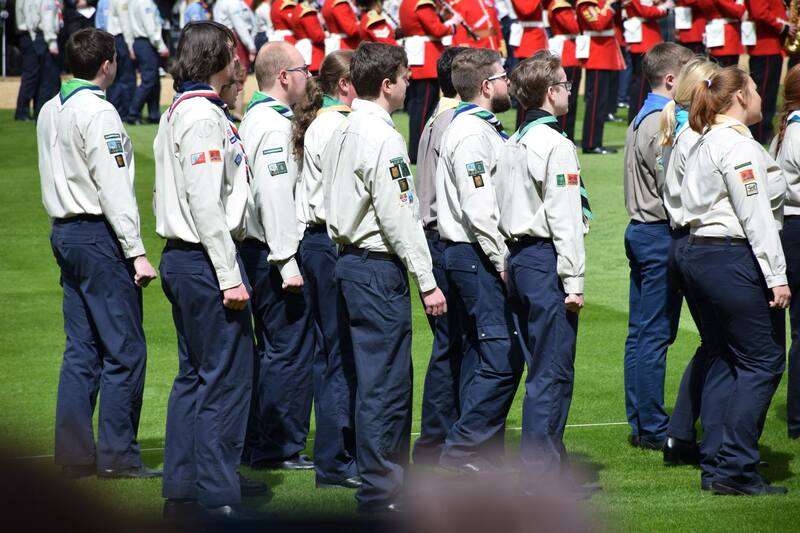 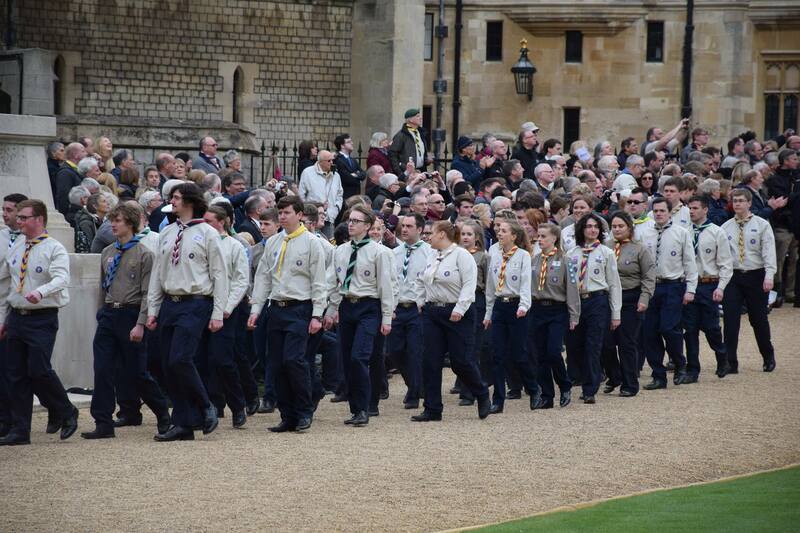 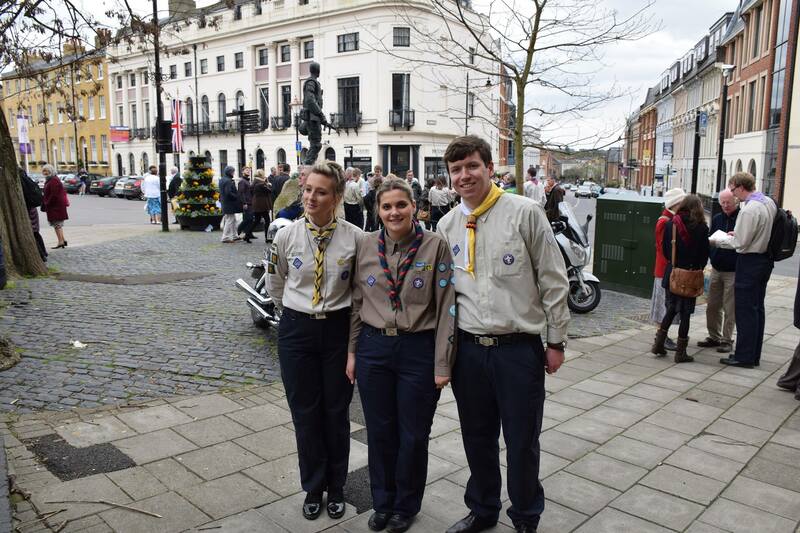 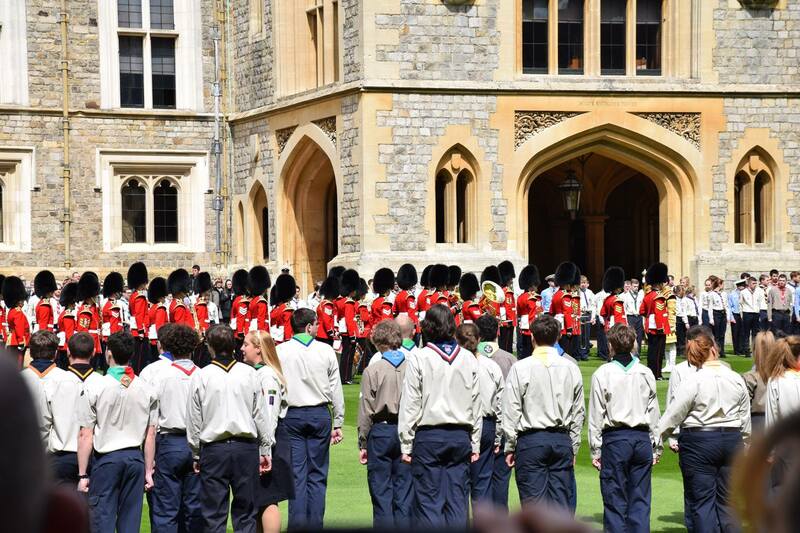 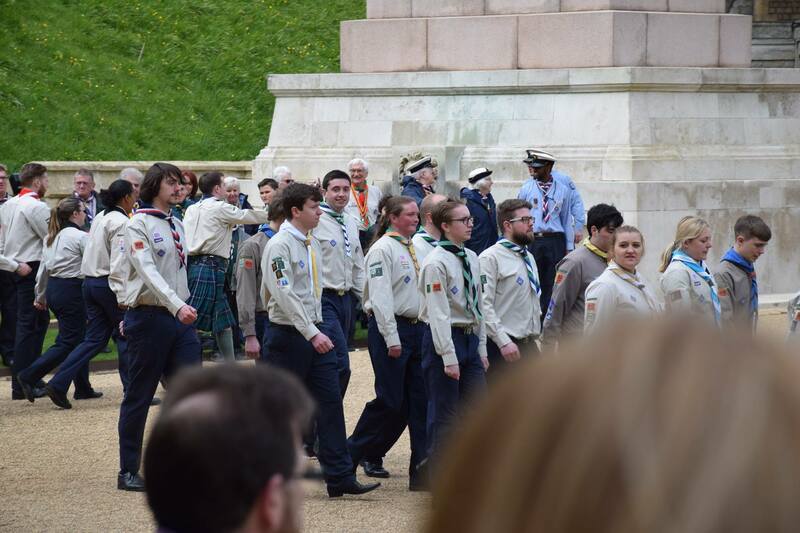 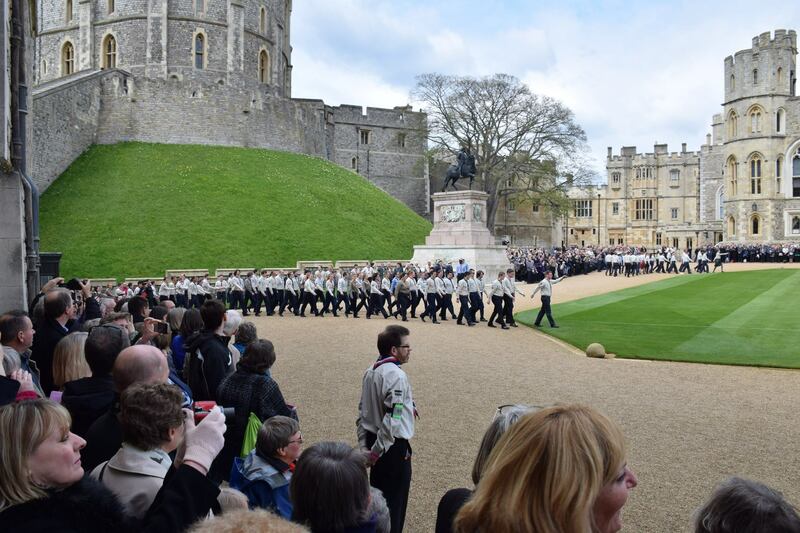 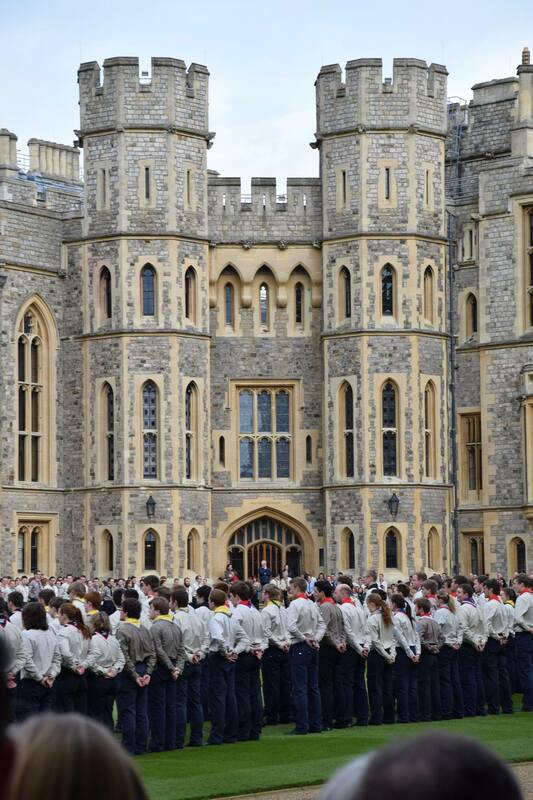 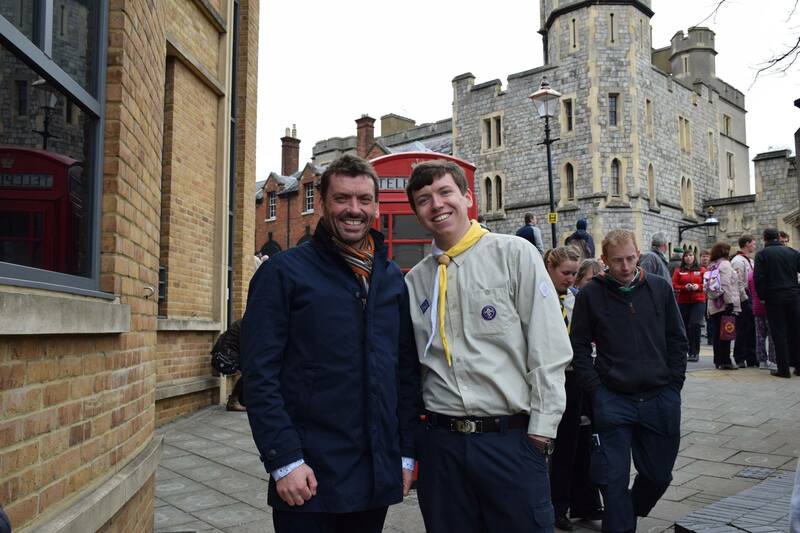 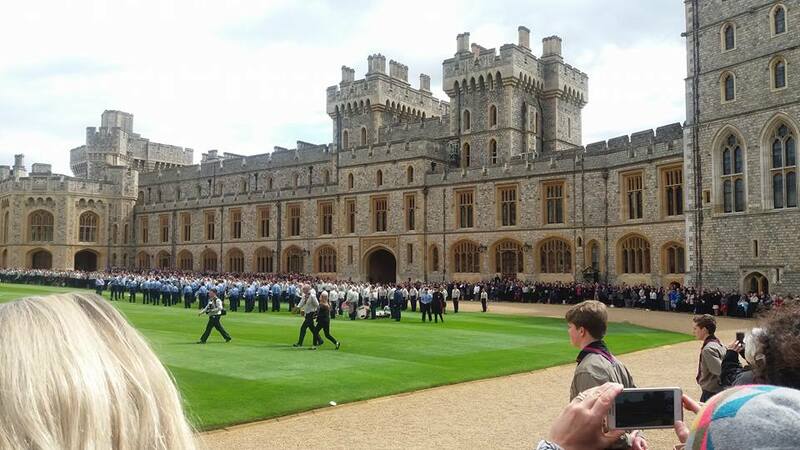 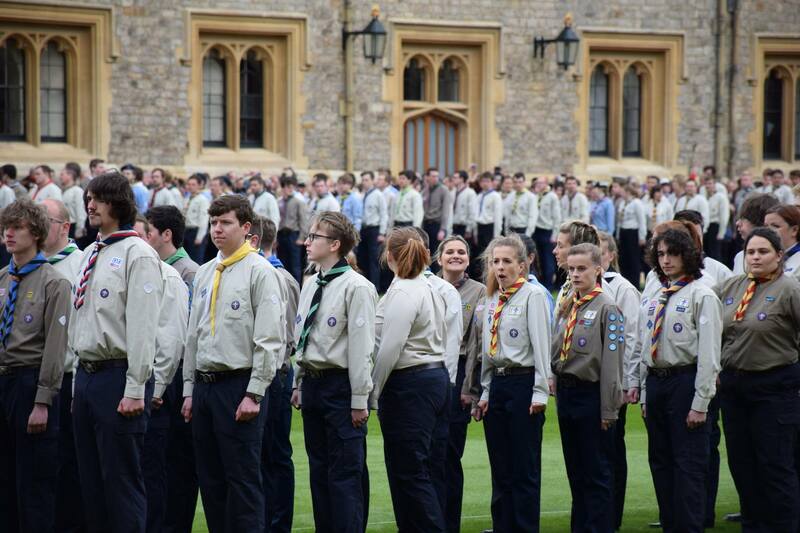 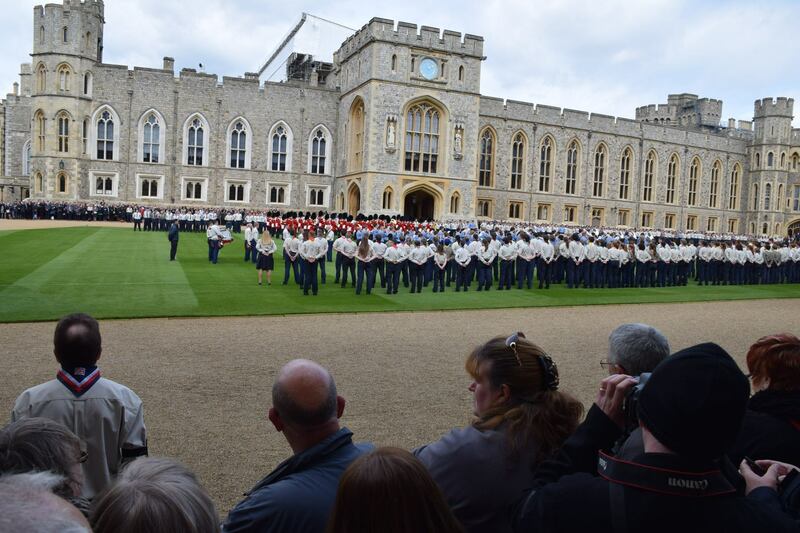 On Sunday 24th April 2016, 20 Queen’s Scouts from Staffordshire attended the St George’s Day National Scout Service & Parade at Windsor Castle. 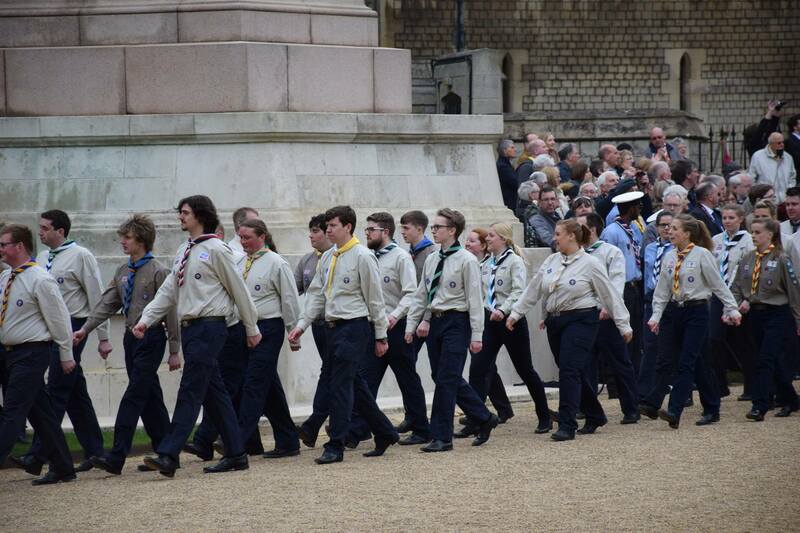 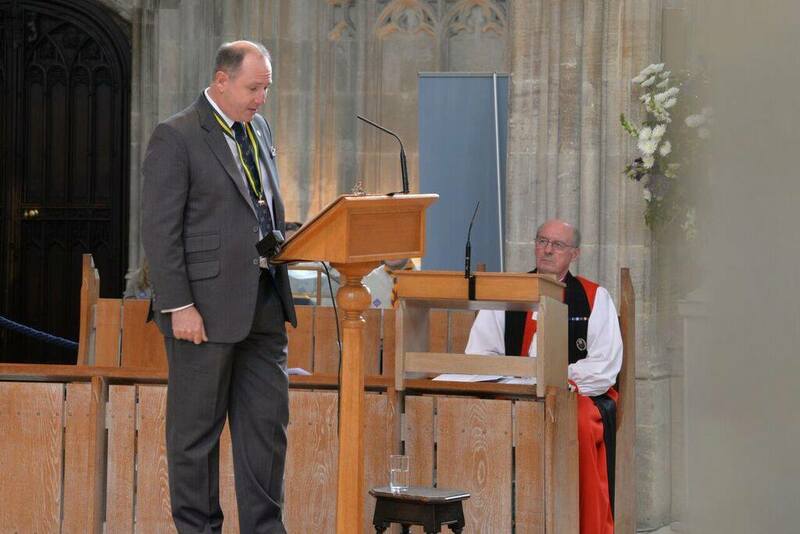 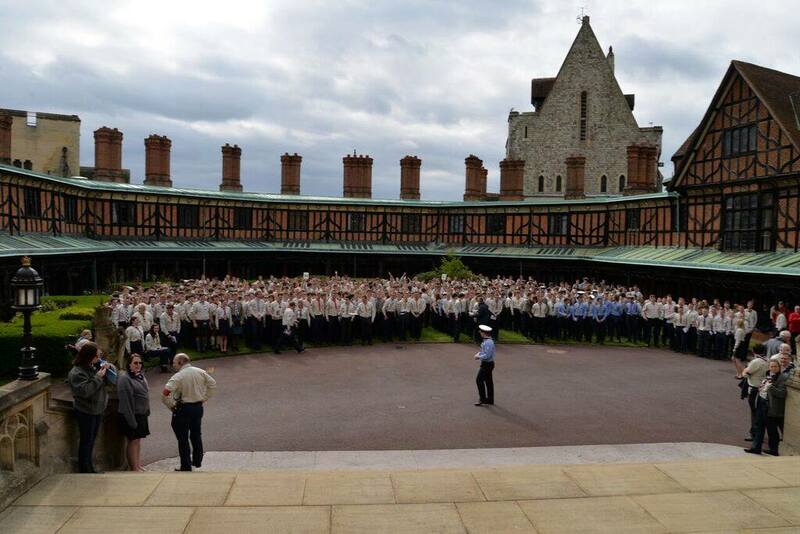 This was to celebrate their achievement of gaining the Queen’s Scout Award, the highest youth award in Scouting. 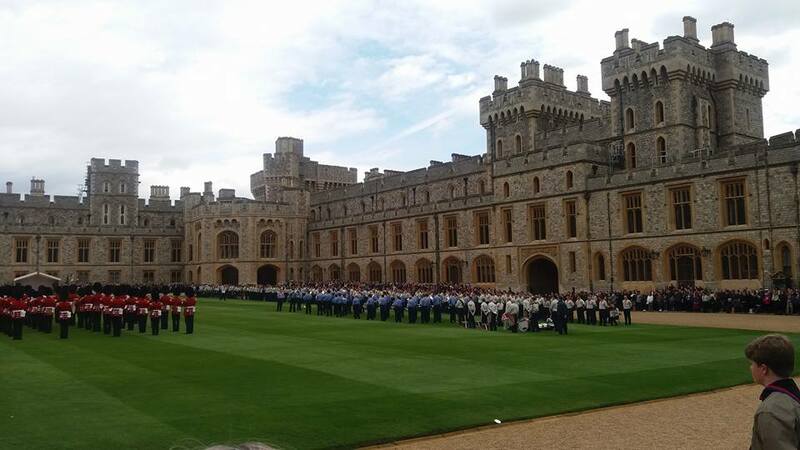 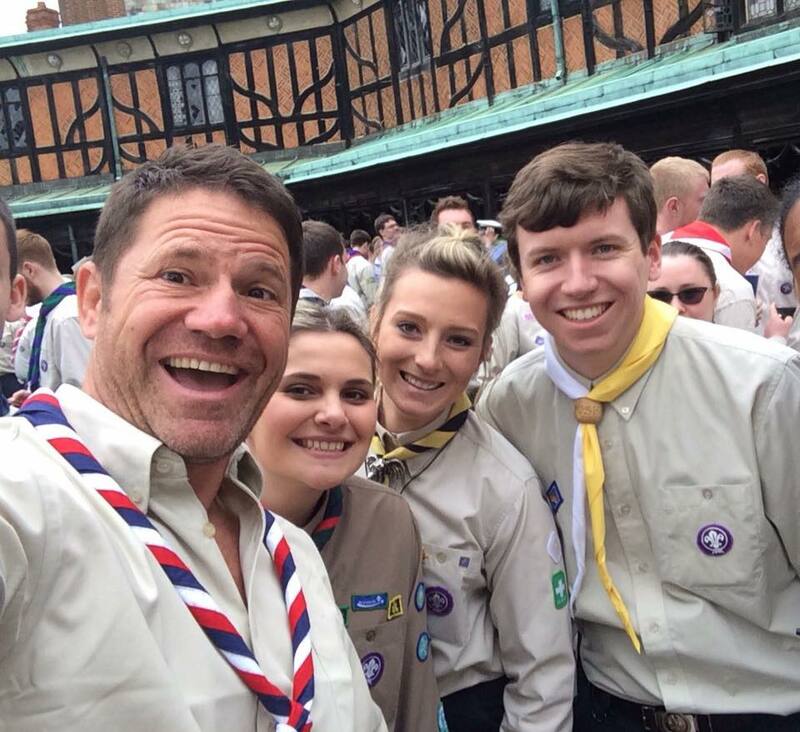 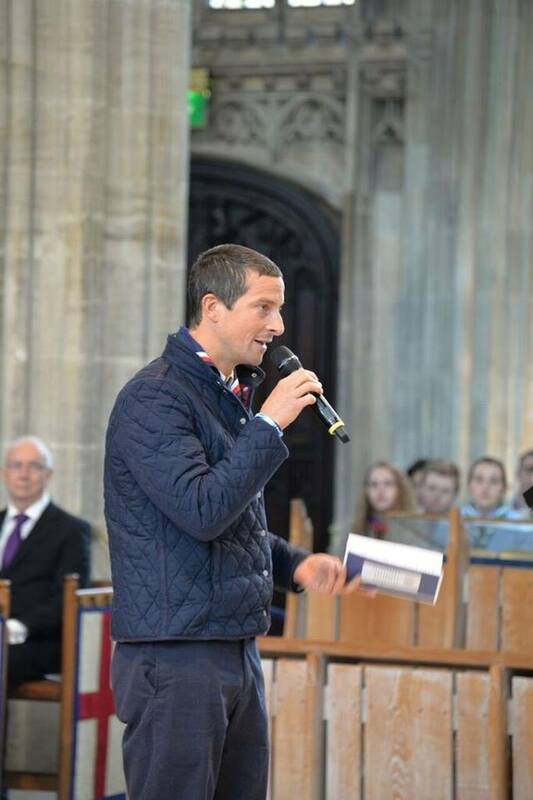 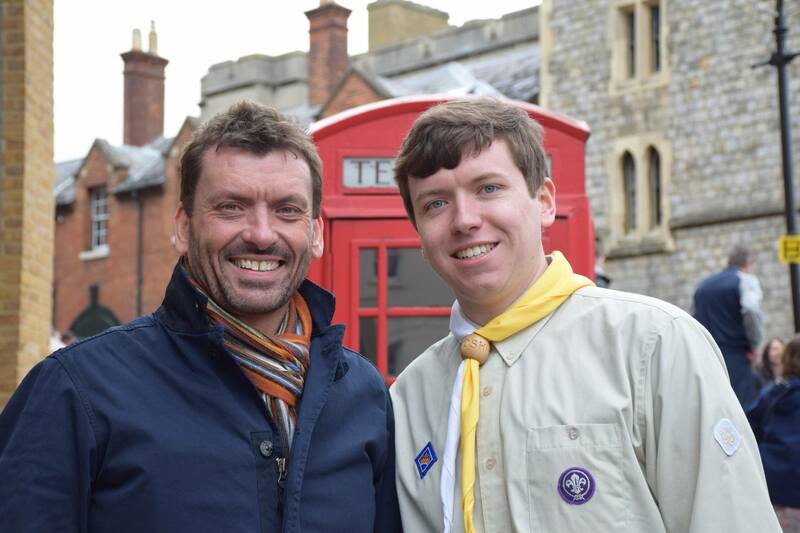 International adventurer and Chief Scout, Bear Grylls, was joined by HRH Prince Michael of Kent and TV personality Steve Backshall in honouring the Queen’s Scouts. 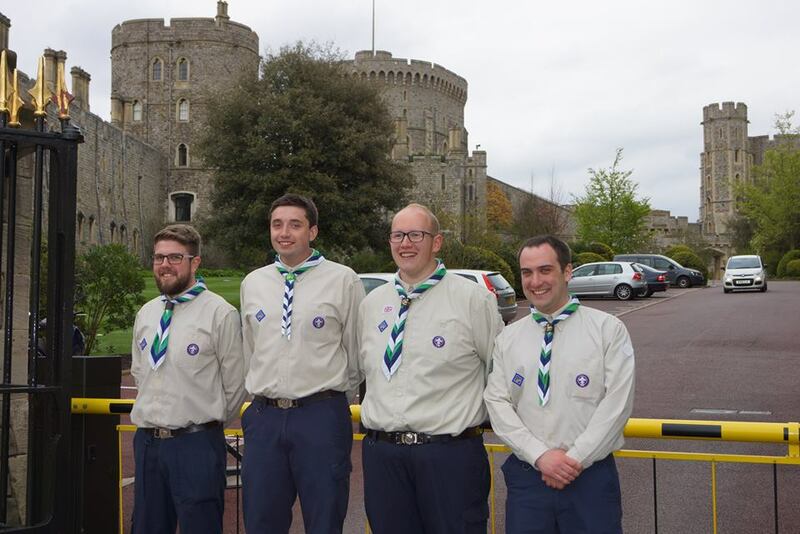 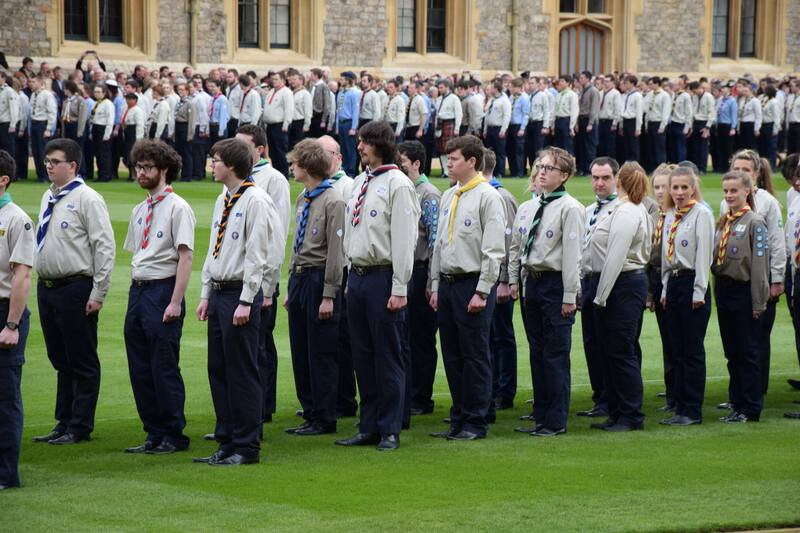 The Queen’s Scouts had taken part in many activities to achieve their award. 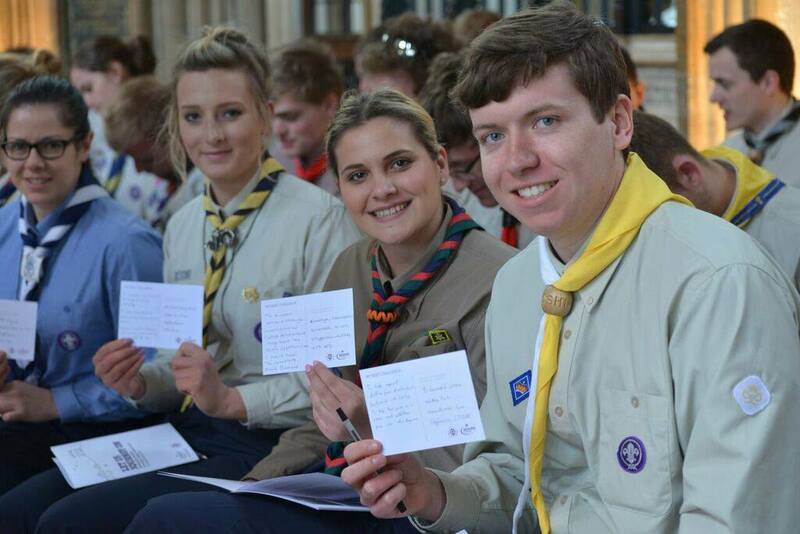 Examples include raising money for organisations such as their local church and the Poppy Appeal; taking part in projects and events in Venezuela, South Africa, Japan & Croatia; and developing skills such as Dark Ages re-enactment, writing novels, amateur dramatics, and money management. 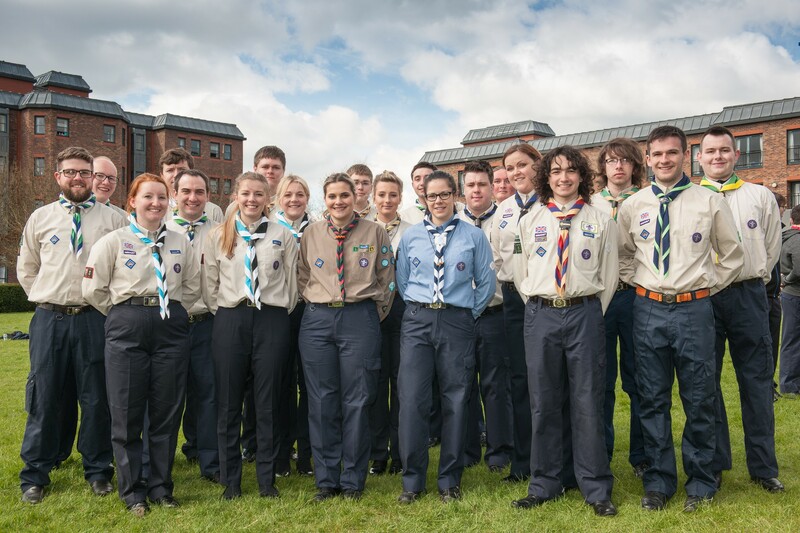 Congratulations to Jade Bailey, Emily Jacklin, and Laura Moss (Burton-upon-Trent); Oliver Ayto (Lichfield); Nathan Shoebridge and Lydia Walsh (Moorlands); Joshua Latham, Charlotte Tatton and Nakita Emmens (Newcastle); David Ambridge, Paul Ambridge, Adam Smith, Tom Longshaw, Jack Kelly, Oliver Mitchell, Jack Batley, Adrian Snewin and Joshua Cornes (Potteries North); Joe Barnes (Stafford); and Sara O’Leary (Three Towns). 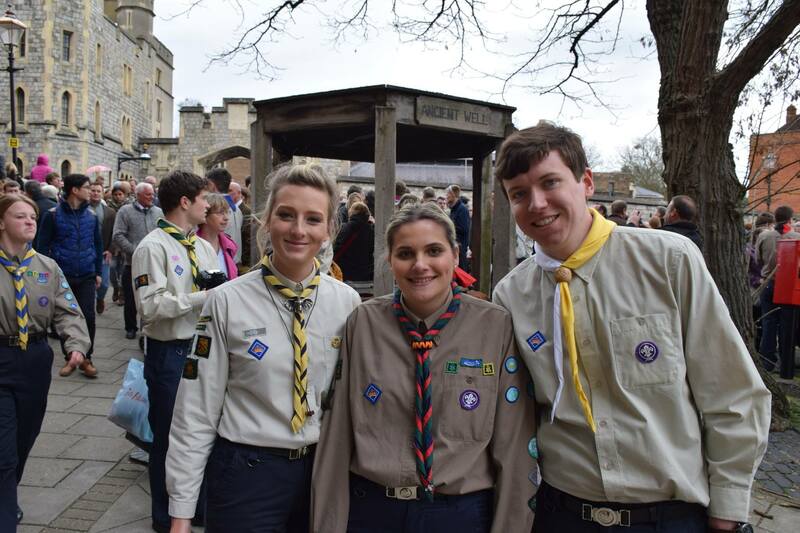 Sarah Bradford of Newcastle Network also achieved her Queen’s Scout Award in the past year and will be attending next year’s event.